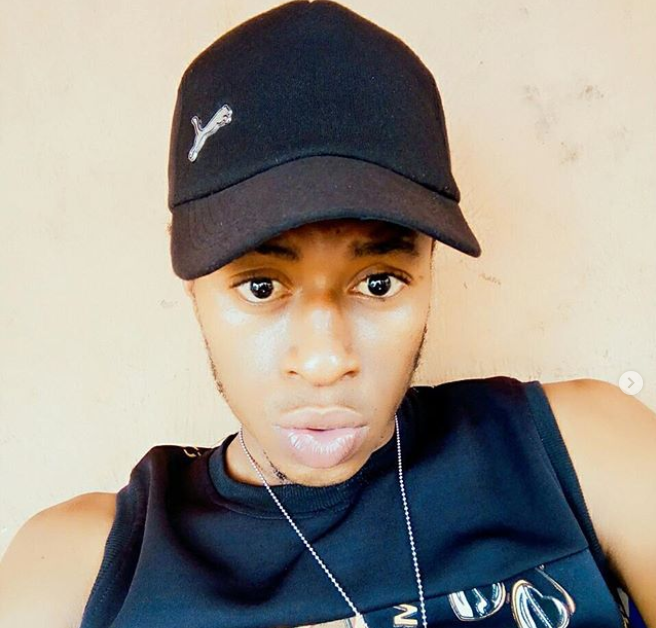 An upcoming Nigerian singer, Klassic, says he tried to reach Davido about an impending doom and how he was about to lose a BIG fan, but he allegedly ignored and weeks later he lost friends. I seriously have a message for OBO @davidoofficial @dmw_hqbecause something very terrible is about happening to one of his big fan, It’s a serious case and an important issue but is not a note 📝 i could possibly drop here. Someone need get to OBO before its too late….. Please don’t be stingy and pass this across till it gets to OBO 😭😭😭 Save someone’s life by sending this to OBO through any fastest media. Few weeks ago I dreamt something would happen to Davido. I tried to reach him on Instagram, i shared this post and tagged him but he never replied. 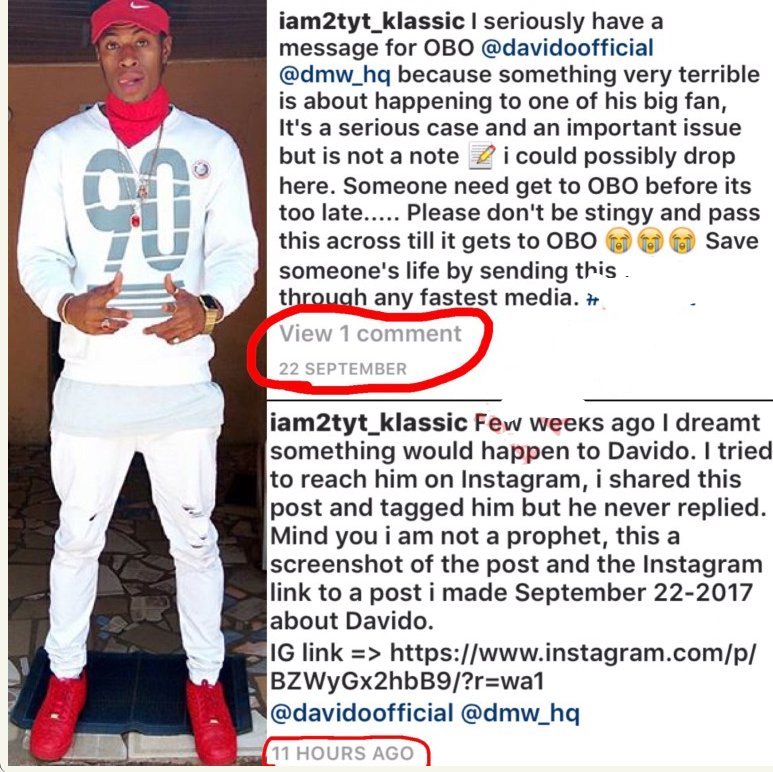 Mind you i am not a prophet, this a screenshot of the post and the Instagram link to a post i made September 22-2017 about Davido.